Do you want a great skin? Want to spend a lot of time outdoors with your friends? As Proactiv Solution has a wide range of skincare regimens that suits your skin. And there’s a Proactiv kit that combines core acne fighting system with light, non-comedogenic Oil Free Moisture or Daily Protection Plus Sunscreen. They are currently have a promo wherein you can purchase a Proactiv kit (60-day or 30-day kit) at participating outlets. You are given the option to upgrade their kits with an additional Proactiv product. If you purchase a 30-day kit, you can get 50% discount and you bought the 60-day kit, you can 60% discount (if purchase is 60-day kit). It moisturized sunscreen helps to keep oily skin hydrated, balanced, and healthy. This moisturizer is perfect for those who have dry, acne prone skin and it absorbs and hydrates instantly. 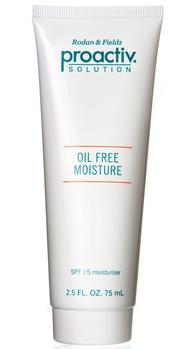 This feather-light moisturizer absorbs instantly, designed to deliver deep hydration to dry, tired skin. It’s formulated with concentrated botanical extracts and powerful antioxidants for a moisturizing experience that’s as healthy as it is refreshing. Skin clarifying pore treatment combines acne-fighting salicylic acid with retinol for powerful anti aging benefits. It contains salicylic acid to eliminate most acne blemishes and help prevent new break outs. Plus, retinol to help improve clarity of the skin and reduce tae appearance of fine lines. It’s the perfect night cream for acne-prone skin. Eliminate shine with our breakthrough lotion for oily skin! A dramatic breakthrough in skin care, this oil-free formula gently helps your skin balance its own natural oil levels to help stop excess oil before it starts. Developed for acne prone skin, this light, oil free sunscreen shields you against the effects of the sun. Patented micro sponge technology helps absorb extra oil. Where can you avail the Proactiv Kit? Visit Proactiv Online Shopping Cart. When you browse the site, you must choose the upgrade prior to completion of the online transaction. Get these amazing products at 50% to 60% discount! For more information about Proactiv Solution, check out their Facebook page.